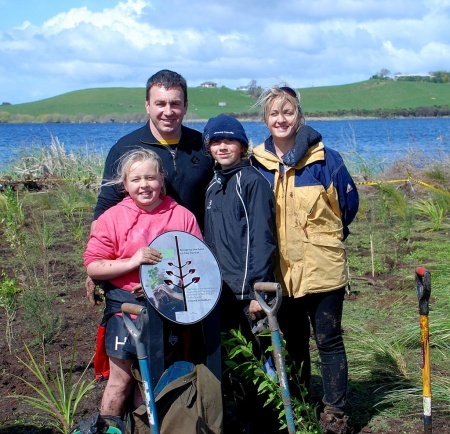 Waikato Rugby Legend Duane Monkley joined hundred of volunteers to complete Living Legends Waikato planting project at Lake Areare, contributing over 11,000 native trees to the area. Lake Areare is a peat lake. 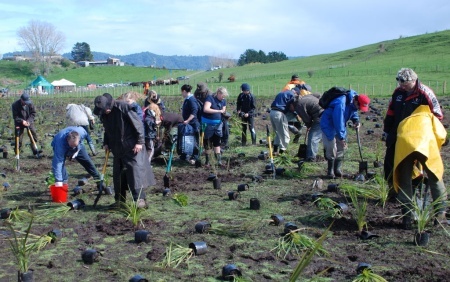 Peat lakes in the Waikato basin have been severely degraded as farming around their periphery has intensified, making the restoration of Lake Areare particularly significant. The establishment of over 11,000 plants under the Living Legends project has greatly extended shoreline re-vegetation and given impetus to ongoing work by other groups. Living Legends will continue to oversee the maintenance of this planting project in conjunction with the Department of Conservation, who will care for it for years to come. Ask any Waikato rugby fan about Duane Monkley and be prepared to hear about one of the greatest injustices of All Black history. Duane is widely cited as being a great player that should have made it to international level. Many say that it was a pity that he played his rugby in the shadow of the brilliant Michael Jones because in most other eras he would have been a shoe-in for an All Black spot. Duane Monkley has now been honoured however, named Waikato’s Rugby Legend, as part of the Living Legends project. Monkley represented Waikato throughout the late 1980s and 1990s with distinction, being part of the famous Mooloo forward pack and formed a terrific loose forward combination with Richard Jerram and John Mitchell. Most of Duane’s senior rugby was played for Fraser Tech before being selected to represent Waikato in 1987, going on to play a massive 135 games for the Mooloos. He names his greatest rugby moments as winning the Ranfurly shield off Auckland in 1993 and Waikato’s National Championship victory in 1992, beating Otago 40-5. He played his last club games for Morrinsville Sports. After hanging up his boots Duane remained committed to rugby and the province. He joined up with his old mates Ian Foster, Warren Gatland and John Mitchell to help coach the union and in the Super 12.